I take pride in identifying as a first-generation student. It means so much to me to carry the torch for my family and break new ground for my younger sisters. I have always been the person in my family to venture out of my comfort zone and it showed in my willingness to study abroad. I found extraordinary strength stepping out of my small-town bubble when I left for college across the state alone and I matured as a man flying across the globe. This change didn’t occur just because I changed geographical location though, it occurred by being open to new ideas and jumping on opportunities. Finding myself among different people and cultures was anxiety-inducing but overcoming your own personal fear and realizing what lies in front of you is empowering. 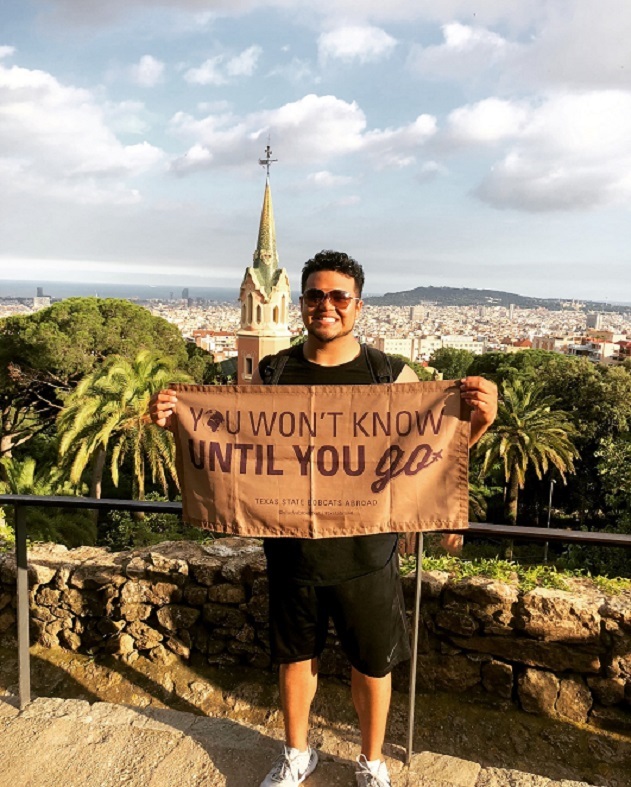 I believe it’s important for first-generation students to study abroad because you are setting the tone for friends, family, and your community to break down boundaries among people and create understanding. My personal background is one of many obstacles but even more triumphs. Growing up with a single teenage mother helped me mature quickly. My family has very little formal education to speak of, my mom’s generation being the first to complete high school in my family, so achieving a higher education seemed a bit out of reach. Above all else, the most difficult task was for me first to believe I could go to college before I even attempted to. I remember a teacher asking me one day what college I was thinking about going to and I responded with ‘I wasn't thinking about going to college’. Nobody in my family ever had and I didn't even know how to even begin a process like that. But I always had an undying optimism and wonder about the world. I knew I loved people, cultures, and knowledge. Once I decided college was for me, I began to focus on how to make it happen instead of whether or not it was possible for me to do and that is where I saw the change in my life.